Recommended to me: "SO much love for this series! The first book is great, but nowhere near as good as the rest. This series pretty much defines political intrigue with all the schemes and secrets, riddles and mysteries. The author does a fantastic job playing with different narrative styles and the characters are wonderful. Recommended because you like Shadow and Bone, Grave Mercy, and Graceling." Recommended for: fans of Kristin Cashore; Robin LaFevers; Rachel Hartman; the Lumatere Chronicles; the Fire and Thorns trilogy; fantasy that straddles the literary-commercial line; and books that focus on characters and feature political intrigue; and for YA (fantasy) writers. You may recall that I was not the hugest fan of The Thief. I thought that it was a solid read and that it was clear that Megan Whalen Turner had huge potential even if the first book lacked that special spark which would make me love it... and yet I am so glad that I didn't give up after that book. Everything gets better; it's so very clear how much MWT improved from that novel and that that novel was setting up the rest of the series. And now, because I love the series so much, a part of me is now wondering whether I was too harsh in my judgment of The Thief. This series does one of my favorite things: it folds back in on itself. It's not just that the characters continue to grow and our understanding of the world increases but also that there are references to character histories and events introduced in the previous novels across the entire series. They make for rich insight and wonderful humor for readers who continue with the books. Right now the only series I can think of which also does this really well is Harry Potter. It has wonderful dry humor that feels authentic. One thing that I've noticed about YA is the abundance of one liner humor. While I enjoy a great deal of it, sometimes I think that it's not appropriate for the series in question, or it seems that the author has thought of the jokes and then given them to the character (rather than the other way around, which is what it should be). This series has humor founded in our understanding of the characters - this is the kind of humor you get when you know the author has a complete understanding of the characters she's created. This is the kind of humor that's not going to feel dated in time because it's established within the text. You know how I'd said that I liked reading about the Victorian era because something about that setting gave female characters a chance to show their fire? This isn't the Victorian era, but the female characters are no doubt fighting sexism and coming out strong, fierce, and formidable. This is a mostly male-centered world, and yet the two queens are (except for Gen) the stand-out characters who make their country strong. They have completely different ruling styles and different cultures for their countries, but they each are characterized well, willing to make the hard choices and do whatever they can for their people. I also love the twists on Greek mythology that Turner added to round out their characters and bring a wry note of humor which connects back to her themes. I don't think I've ever been as entranced by a main character as I am by Gen. He's not a Gary Stu; he's quite flawed - condescending towards those he perceives are fools, whiny, lying, cocky, brazen. Somehow, however, over the series, along with all the other characters, you come to love Gen's ridiculous lies and his flaws and wait to see how he'll turn you on your feet with his resourcefulness, determination, loyalty, and cleverness. For all those who loved that Rae Carson showed how smart Elisa is, you'll certainly love how MWT shows how clever Gen is. Gen has a lot of depth and complexity that gets explored across the series. He's one of the most well-drawn, fascinating protagonists who I've read about, and probably the only protagonist in YA who I'd follow through to other series (as in, it wouldn't matter if everything else didn't work because he does). There are complex and satisfying romances that are free of angst. Or at least of the typical variety. They're very subtle in how they form, but you can tell how well suited each person is for the other. There is little emphasis on what the other person looks like and more on who they are and how the two people match in temperament and attitude. I'm the kind of person who wants her romantic scenes. Never did I think that I'd like a series that has so much of its subtle emotional shifts off screen, but this - this is going down in my favorites. You know it's the mark of a great writer if she makes you believe in the romances despite all the obstacles, and believe me they are significant. These are as close to unpredictable plots as you can get. This is mastery of unreliable narration and narrative misdirection combined across the series. You know all along that these characters are hiding something and that you're not getting the full picture - it's all a part of the politics, the situation, the characters and what they choose to admit to themselves. The key is in trying to understand what details have been left out from the limited third person perspective, or focus on what details the first person perspective is not mentioning. Even then you think you know everything until you realize that it's also a fantasy world, and no matter how much you're learning, there's always something new Turner will include to surprise you. There are very few novels that can handle shifts in narration as well as these do. Don't you feel frustrated sometimes when a novel is shifting between first and third perspective? Alternating chapters of each or just alternating first person, etc.? These novels are among the first that I've read that handle PoV shifts so well that I'm convinced there's no other way the books could have been written. The shifts in perspective are not only there to enhance the plot but also to enhance character and character growth and to further the symbolism within the series. Don't believe me? Read The Book Smuggler review of this series. Ana explains this better than I have. As a writer, this series is invaluable to understanding more about the craft. I'm not the only one who thinks so - author Elizabeth Fama wrote a post about that as well. Every detail, every word in this series counts. Her writing style is similar to Kristin Cashore's with its textured feel, but I might go so far as to say Turner has layered in more emotion and complexity to each interaction - and not just for the main characters but in the dialogue between lesser characters as well. I am probably going to buy paperback copies soon so that I can look at the text more closely. Quick impressions of each book: The Thief: fun filler to introduce us to the awesome showstealer of the series, Gen. The Queen of Attolia: has the most political intrigue of the series and features the most subtle romance I've ever read. The King of Attolia: amps up what was already established in The Thief but in a more political setting. A Conspiracy of Kings: probably the most typical of the books in terms of YA character arcs but with a harsher, more fulfilling/overarching and political feel. Three things of note: I really wished that they'd given us a map. If you're going to have books about political scheming and sneaking around the castle, it'd be much easier to follow if we too were allowed to follow along. I'm not a visual reader and though the details were there, I still had a hard time trying to align every thing in my head. It's a shame because MWT's writing style feels very similar to Cashore's and Kristin Cashore's novels all have maps. Another thing to note is that this series is one that straddles the line between literary and commercial, so if you're not a fan of books that focus less on drama/angst, villain/hero showdowns, or full-blown action scenes, I'd advise you to check out an excerpt first. I'm also not sure that I would give these to teens unless they were accustomed to reading a lot. Because it's so complex and a lot of it is in the subtle details or implications, I don't know whether they'd enjoy this as much; I don't know that I, as a teen, would have understood the subtext. Right now, if you asked me to choose one YA book to claim as my own -- as if I had written it -- I would probably choose The King of Attolia. There are a lot of other contenders, but I don't think that I've ever read another YA novel with this level of character and plot complexity and layered writing. (Obviously Harry Potter has a lot, a lot of complexity, but I'm not going to even pretend I could ever write something like that. Not that I could write something like this anyway, but you know what I mean.). As much as I love pretty turns of phrases and writing that sets atmosphere and mood, I would sacrifice that for the absolute mastery of character building in these novels. I am really surprised that these novels didn't win more awards. Please give this series a chance. As you may have noticed, books two through four have gone onto my books that define me as a reader list. If you've read The Thief and not been completely impressed, please continue onto The Queen of Attolia and see whether you like it more. I am still struck dumb by how much I love this series, so I don't have a blurb summary in mind for here, but if you are a fan of Kristin Cashore, Robin LaFevers, Rachel Hartman, the Lumatere Chronicles, the Fire and Thorns trilogy, fantasy that straddles the literary-commercial line, and books that focus on characters and feature political intrigue, or are a YA (fantasy) writer, this series is for you. Also for fans of The False Prince. Since it's been published for a while, you can probably find a bunch of reviews just by going to the individual Goodreads pages. And bonus points for you: there are two more books due in this series, so you can get caught up before the others are released. These next books are going to be as highly anticipated for me as Bitterblue, after three years, was. PS: This was a Christina Reads Your Recommendations title. As always, feel free to send in more recommendations! I am definitely going to have to check this out once I stop my book buying ban, anything that is high fantasy is going to make me want to read it. Hm, I may have to revisit this series after the new year. I gave "The Thief" a solid three stars but have never gone back to continue. I do like an unpredictable story though! I've heard of this series and I've been waning to read it for a while. This just bumped it way up on my TBR list! YAYYYY! This post makes me so happy to see. I actually really loved The Thief when I first read it. This was before MWT wrote The Queen of Attolia (and I had no idea that this was a planned series). I think I was ten maybe? Perhaps my age had something to do with it, but I was just in awe of this book. I never suspected ANY of the plot twists, and reading the conclusion of The Thief made me a lifelong fan of MWT. Yes, Gen is my favorite male character ever, one of my favorite protagonists in general if I'm being honest. Just everything about him, flaws and all, is so realistic and wonderfully done. And I just love him. I was not initially a fan of the POV shifts in each book (especially as they served to keep distancing me from my beloved Gen). But they're really so smart and make so much sense. I also love that MWT took that risk, as I don't think that's something that many authors would do (and even fewer would have been able to do so successfully). I also wish there had been a map! I am a very visual reader myself, so I do appreciate those. There are some fanmade maps out there, though. And I wish that I had written The Queen of Attolia lol. That's my personal favorite in the series thus far. Comparing a book with HP always makes sure I'm intrigued. And also with Fire and thorns series? Sounds great! I like it when books refer to other books in the series. It makes me feel like the author really put thought and effort to create a good story. And I love that there are strong women despite the male-centered world. I really liked Elisa, so I think Gen and I will click. Flawed characters are the best! Romance is something that can ruin a book for me, so I'm more than happy to hear this is not the case in this series. No angst, how refreshing. This series is definitely on my TBR list. The King of Attolia is just about my favorite book ever, so it makes me happy to read that you went on and loved the series too! If you haven't found it already, there's a nice fan group, Sounis, where in the old entries you can find tons of chat about the smallest details--once you start looking and thinking at a micro level with these books, it becomes clear that every little gosh darn thing is in there for a reason, which is why they pay so beautifully for re-reading! Yes. It really is. Lol I was slightly depressed after reading the series for that very reason. Then I shook myself and said hard work, hard work, and get on that writing so ;). Yes. The Thief was a 4 star read for me only because I thought she had so much potential (otherwise 3 stars). If you do have the chance... revisit the series :). You won't regret it (I think)! YAY!!! I love spreading the Queen's Thief love. It's become one of those series where I now want to quote it or tell everyone I know to read it. I also generally like the first book of a series the most, but this one... oh, Pam, please read the series and continue past The Thief :). YAYYYYY. Yeah, honestly I hadn't heard of the series until someone else recommended me the books. They've been out for a while, so that's understandable, but ahhh, I hope you enjoy the books! I'm so happy that I got the chance to read them. The political intrigue is different than that found in most YA but also very layered and well done. Oooh, wow, you were ten? That's awesome! At ten I don't think I would've had the patience for the series, and hey, she does a great job layering in the plot twists, so I wouldn't be surprised if it's more a function of her skill rather than your age. YES. Definitely one of my favorite protagonists. If ever I create a Top Ten list, he's there. And ugh, can't wait to see how he'll get developed in the next books. I wonder - now that he's stolen so much, is he going to be like an Alexander figure and steal an entire empire? :) It's made me happy to reply to your comment. I have seen the fan group! They are so active. They retweeted and favorited my tweets on the series. I took a quick glance at the livejournal but the entries I saw were mostly of new members, so I've got to look further back. I am definitely interested in reading about their analysis - thanks for pointing that out to me :). AAAAAAAAAAHHHHH I just wrote a really long response to this that I somehow lost and I'm not sure I can replicate. Basically I agree with everything you said and I want to re-read these books again now. 1) The romances in this series are some of my favorite ever because they are subtle and sometimes I have to work to see them. They are action/show based and not tell. I was so uncomfortable with Gen and Irene after book 2, but in KING I loved the experience of discovering their relationship along with Costos. It made it more powerful. That scene where Gen kisses Irene on the steps after getting stabbed in the garden, melts me to butter. 2) YES we need a map. I love how MWT knows this land and people so well that she will casually mention little details from earlier books later on. I don't think she's writing in a calculated way, it's more that she writes with intelligence and encourages us to be smarter readers as a result. 3) I love that MWT isn't afraid to change her narration to fit the story she wants to tell. 4) I agree, I would follow Gen to the ends of the earth. He is the most perfect flawed character ever. Oh nooooo. I hate Disqus sometimes. I can't believe I lost your comment :(. I've actually gotten paranoid about that when commenting on other blogs and now just select all and copy before hitting post. Haven't needed to use it yet but yikes! Thanks for even taking the time to repost your thoughts. 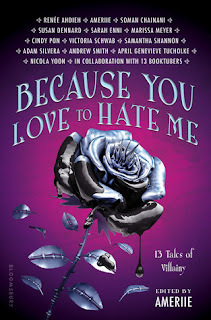 And thank you for featuring Elizabeth Fama on your blog about this series -- loved that discussion and love how my opinion has since changed from when I commented. 1) Hahah, yes, I admit I was a tad uncomfortable with Gen/Irene in book 2 because I didn't quite see how they fit just yet... but that's why KING is my favorite of the series. And ugh, that scene. I saw a fanart post the other day with it and so much love for that <33 and quoting that scene and THESE BOOKS!!! 2) Yes. It's clear that she has a map in mind even if the publisher hasn't provided us with one. I think that's the part that makes me sad. She's doing her best job as a writer but we don't get the supplementary material :(. I bought the series! I went to the bookstore and found them in the discount section and I remembered that you recommended them :) So I went and bought them. Let's see what I think about them :D.